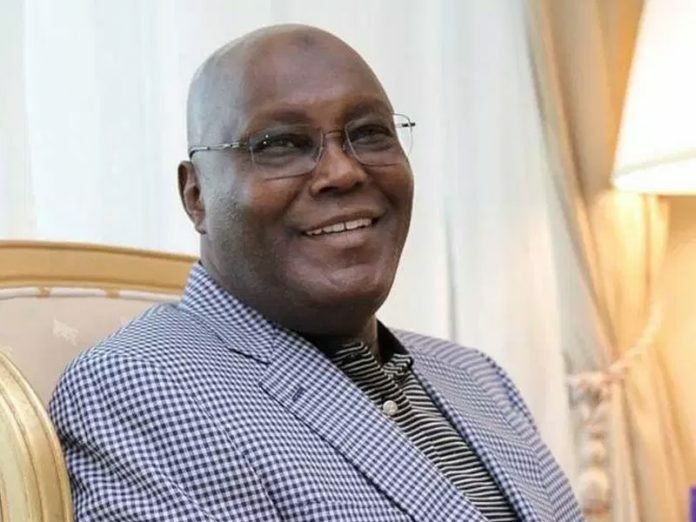 The Peoples Democratic Party (PDP) has described as “reckless and groundless” claim by the All Progressives Congress (APC) that its presidential candidate in the just concluded general election, Alhaji Atiku Abubakar, is a Cameroonian. The main opposition party said the allegation is a calculated attempt by the ruling party to trivialise and divert attention from alleged rigging of the presidential election. It was, however, good news for the PDP yesterday as it won the four state assembly seats in the supplementary election organised by the Independent National Electoral Commission (INEC) in Rivers State last Saturday. With these results, PDP has won all the seats in the 32–member House of Assembly except Oyigbo State Constituency, which was won by Mr. Nwankwo Promise of the Social Democratic Party (SDP). The National Publicity Secretary of PDP, Mr. Kola Ologbondiyan, in a statement yesterday said such diversionary tactics has, however, only helped in further exposing the fact that the APC has no answers to the plethora of overwhelming evidence before the tribunal that the election was won by Atiku and the PDP. He stated: “This disingenuous claim is also a woeful design by the APC to overburden, distract and bog down the Presidential Election Petition Tribunal with trivialities, lies and falsehood, so as to derail the course of justice. “These individuals include those who, being not sure of their origins; have no love for Nigeria and even refused to be on the side of our nation at the 1985 summit of the defunct Organisation of Africa Unity (OAU) in Addis Ababa. “Such persons prefer to deploy our national resources for infrastructural development in affiliated places outside the shores of Nigeria, when our country is in dire need of attention. He said that the apparent links were further manifested in the participation of aliens in the campaigns of a particular presidential candidate in Kano. The party spokesperson stressed that Nigerians should not despair as the PDP and Atiku would not be distracted in the pursuit of their mandate. Ologbondiyan noted that the PDP has implicit confidence in the competence of the party’s legal team to handle the diversionary antics and technicalities of the APC to unnecessarily overstrain the tribunal and derail the course of justice in the matter. Meanwhile, the PDP has won the four state assembly seats in the supplementary elections organised by the Independent National Electoral Commission (INEC) in Rivers State last Saturday. Welcoming the results, Governor Nyesom Wike reiterated that his victory in the March 9 governorship election is for all Rivers people and a new beginning for the state. INEC last Saturday conducted supplementary election for state assembly elections in four local government areas of the state. A statement issued by INEC listed the affected local government areas as Abua/Odual, Ahoada West, Gokana and Opobo/Nkoro. The election held in all the wards and polling units in Abua/Odual and Gokana local government areas, 20 polling units spread across four wards in Ahoada West, and 47 polling units spread across nine wards in Ahoada West. INEC explained that in Abua/Odual, election did not take place during the March 9 governorship and State Assembly elections because INEC officials could not deploy men and materials because of violence. For Gokana, elections were disrupted and the commission could not collate results. In last Saturday’s supplementary election, the police deployed 3,066 personnel, complemented by personnel from other security agencies to ensure a hitch-free exercise. In a statement yesterday, INEC said Mr. Sokolo Solomon of the PDP polled 55,944 to win in Abua/Odual. In Ahoada West, Mr. Okpokiri Nwanaka also of the PDP won having polled 32,574 votes; in Gokana, Mr. Dumle Maol of PDP won with 55,319 votes, while Mr. Adonye Diri of the PDP also won in Opobo/Nkoro having polled 7,713 votes. Speaking during a family thanksgiving at the Salvation Ministries Headquarters in Port Harcourt yesterday, Wike said despite the political turmoil, nobody lost during the elections. “Nobody has won and nobody has lost the elections. But Rivers State has won. I forgive anyone that has wronged me and I also ask for forgiveness from those that I have wronged,” he said. He said he was in church to give thanks to God for his faithfulness in the face of fierce political battles during the general election. “We have come here to give God thanks because He is so faithful to us. We have come to thank God for the fight He fought on our behalf. It is only God who can fight for us. We have no power of our own to fight,” he stated. He thanked the presiding Pastor of Salvation Ministries, Pastor David Ibiyeomie, for his spiritual support during the long-drawn political battle. Wike said even when he faltered in faith he was strengthened by the cleric with his confidence restored. The governor said that with what transpired during the political battle, it is obvious that truly Rivers is a Christian state. He said by the special thanksgiving, God would perfect everything that concerns Wike and his family. He decreed God’s wisdom on the governor, adding that God would grant him the enablement to lead the state in the right direction. Ibiyeomie said anyone planning evil against the governor would fall prey to his/her evil machinations.